Home / Stock Picks / Hot Stocks / Is Nike Stock Attractive After Analyst’s Upgrade? 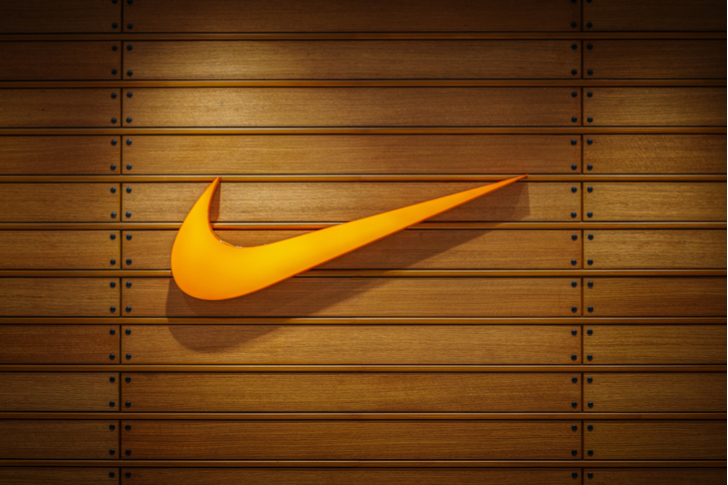 Is Nike Stock Attractive After Analyst’s Upgrade? On Tuesday, athletic apparel maker Nike Inc. (NYSE:NKE) got a vote of confidence from Cowen,as the firm upgraded the retailer to Outperform from Market Perform and raised its 12-month price target on Nike stock to $90 per share. That represents 12% upside from NKE stock price on Wednesday morning, giving investors a reason to consider buying NKE. Based on the forecast of Cowen’s John Kernan, Nike’s long-term growth outlook appears to be promising. However, it’s worth examining the external risks that Nike is facing and weighing those against the company’s valuation. He’s not wrong about NKE’s ability to deliver what consumers want. The footwear maker’s new product offerings have been home runs, and that success is expected to continue throughout 2019. \Of the ten most-anticipated shoes of 2019 nine are made by Nike according to Sneaker News. Better product launches mean fewer discounts, which translates to higher margins. On top of that, Kernan praised Nike’s focus on delivering more innovative products faster and growing its direct connections with consumers, saying the firm is likely to profit from those initiatives in the coming quarters. Nike has been making big investments in its direct-to-consumer channels, and those channels are already starting to show promise. Back in 2017 the company set growth targets for itself, some of which it has already surpassed. NKE initially hoped its e-commerce segment would expand to 30% of its overall business, but management says that target is too conservative and is now shooting for 50% or higher. Nike also sought to generate 50% of its growth from new products. The apparel maker’s new products have been far more successful than anticipated, though, generating around 80% of the company’s growth. Cowen’s Kernan said that Nike could return some $24 billion to its shareholders over the next five years. He predicted that the company would have strong, annual free cash flow of $4.5 billion between 2019 and 2023. According to the analyst, NKE will likely use those finds to reward shareholders through repurchases and dividends. Nike probably isn’t the first name you think of when it comes to dividend stocks, as Nike stock only offers a yield of 1%. However, it’s worth noting that NKE has consistently raised its dividend payments annually for the past 17 years, normally with a double-digit percentage hike. Last year, Nike raised its dividend payment by 10%, and there’s no reason not to expect the same, or better, in 2019. The bottom line is that you really can’t fault Nike’s underlying business. The company is the best-in-breed when it comes to athletic footwear and apparel, but the current macro-climate is uncertain and that should give investors pause when they’re considering an apparel maker like NKE. Right now, Nike stock is riding high on the popularity of sneakers, but it’s anyone’s guess how long that will last. A slowdown in the demand for athletic footwear would spell disaster for Nike. Not only does the firm have to worry about shifting fashion tastes, but Nike’s success is also closely tied to economic conditions. An economic slowdown would hit NKE stock price hard, and with the current uncertainty threatening to spook consumers, that’s a point worth considering. Then there’s growth in China, which is a big part of Nike’s overall strategy. Sales in China make up roughly a third of the firm’s overall revenue growth. The nation’s growing middle class represents a huge opportunity for NKE in the long-run, but in the nearer term things could get a little shaky. The Chinese economy appears to be on rocky ground at the moment, and worries about a drawn-out trade war between the U.S. and China shouldn’t be ignored. However, perhaps the biggest reason to hold off on buying Nike stock is the company’s valuation. Nike stock trades at 30 times NKE’s projected 2019 earnings. That’s nearly double the average multiple of the companies in the S&P 500. That makes NKE expensive, considering that the stock is at the mercy of external factors. Right now, the market is rife with other, more attractive stocks that are trading at far lower multiples. Overall, I agree with Cowen that Nike’s business looks solid right now and that the company has a lot of long-term growth potential. However, the valuation of Nike stock is simply too high for me to buy the shares in the current market. Article printed from InvestorPlace Media, https://investorplace.com/2019/01/is-nike-stock-attractive-after-analysts-upgrade/.